One of the major long-term effects for boys needing cancer treatment before puberty is infertility. This project is looking for a way to establish a clinical service for restoring fertility in adulthood by preserving testis tissue taken from boys before treatment. A combined research programme will look at the effect of chemotherapy exposures on the pre-pubertal testis and the effectiveness of protective treatments. Boys needing cancer treatment before puberty often experience infertility as adults. We’re looking for a way to restore their fertility later, and better ways to protect it during treatment. 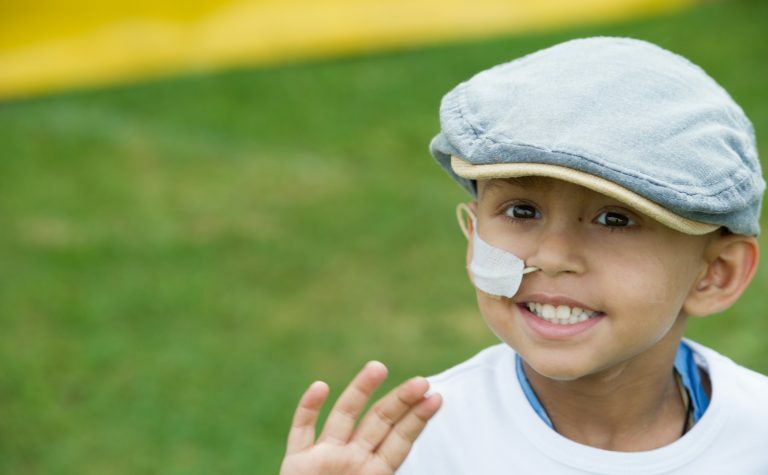 Find out more about childhood cancer! Survival rates for childhood cancer have increased dramatically over recent decades due to improved treatments, so long-term effects of cancer treatment, like infertility, are becoming more important. For adults with cancer there is the possibility of storing sperm, but boys don’t make sperm until after puberty. One of several cell types in the testicle can be damaged, and understanding how this occurs is important for developing new treatments to preserve or restore fertility. Most studies investigating the effects of chemotherapy on the testicle are performed in adults, with very few involving children. But we can’t assume that the effects of treatment are the same in children. In this project, Dr Mitchell and colleagues will establish a clinical service to store testicular tissue from boys with cancer at high risk of infertility. The tissue will be taken before treatment and stored until adulthood, so that it could be used to enable them to have children. This project will offer short- and long-term benefits to the children involved in the study as well as benefitting future children diagnosed with cancer. Dr Mitchell’s team are the first in the UK to offer the possibility of storing testicular tissue from boys with cancer, and will offer the service to boys whose treatment puts them at high risk of future infertility. The tissue will be available to them throughout adulthood, and this research will also be developing the techniques to provide the potential long-term benefit of restoring their fertility. Equally important, by studying how chemotherapy damages the testicle and causes infertility, the team will contribute to efforts to modify cancer treatments to reduce the risk of infertility for children diagnosed in the future. This will also enable teams to develop treatments that could help protect the testicles from chemotherapy-induced damage. Edinburgh leads fertility preservation in the UK. The team at the Centre for Reproductive Health heads an established programme for freezing and storing ovarian tissue from girls with cancer, and in 2013 they became the first centre in the UK to obtain ethical approval for a fertility preservation programme for boys. The unique expertise available in Edinburgh makes this the only centre in the UK where this combined clinical service and research programme can be established. Rod Mitchell, Clinical Research Fellow at the Centre for Reproductive Health and Honorary Consultant Endocrinologist at Edinburgh Royal Hospital for Sick Children, has a proven track record of research into development of the testicles. Hamish Wallace, Consultant Paediatric Oncologist, Edinburgh Royal Hospital for Sick Children, has vast experience in the care of young people with cancer, including assessment and counselling regarding fertility. Richard Anderson, Professor of Clinical Reproductive Science at the University of Edinburgh, leads the female fertility preservation programme and has published widely on the subject of fertility preservation for children with cancer. Norah Spears, Professor of Reproductive Physiology, University of Edinburgh, has done a large amount of research into the effects of chemotherapy on the ovary. Find out more about our life-saving research!